confite, L.conficio (blending), Sp Heb marmalata, marmeláda, Ar. murabba. Eng confection. Literallyin Arabic means confection but it is marmalade. The word mermelada was not adopted from the English to the Spaniards until a later date. 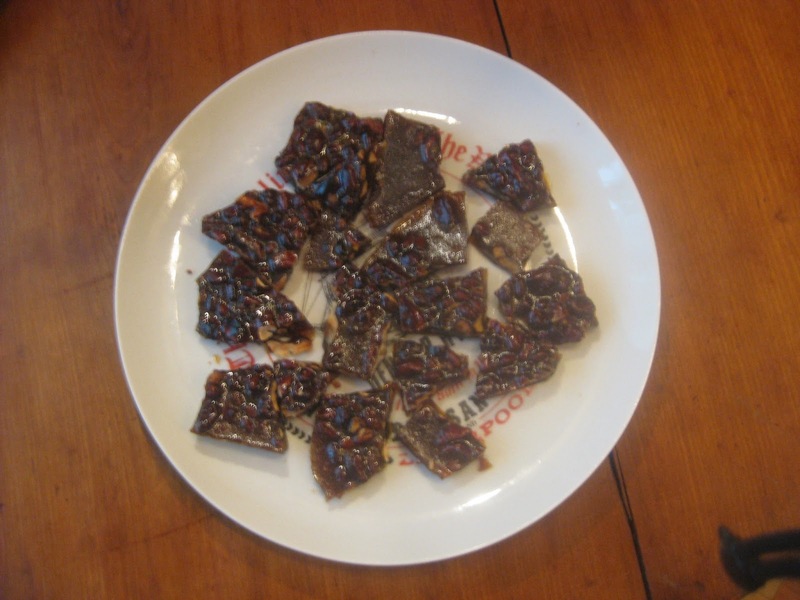 Then it was to distinguish medicine from “a product pleasing the sweet tooth.” confections were made by blending sugar with another ingredient. 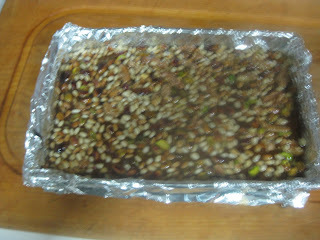 Place nuts on cookie sheet and roast 10 minutes. When roasted pour them into a bowl and add the spices. Place parchment paper or aluminum foil on baking pan (7.5x11x3/4”) and grease it with oil. 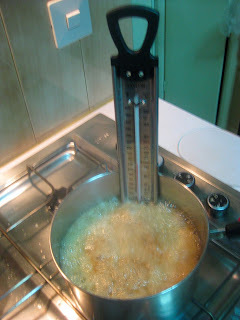 Put the honey in a heavy pan with a candy thermometer ¼” above the bottom of the pan. Heat the honey. When it begins to boil stir constantly until it reaches 240º F/115º C. Remove from heat and add nuts and spices. Mix well and pour the mixture on the cookie sheet. Let cool overnight. Break into pieces and serve. Peanuts were unknown in Europe until the discovery of the American continents. Still peanuts were feed for livestock until the beginning of the 20th century.